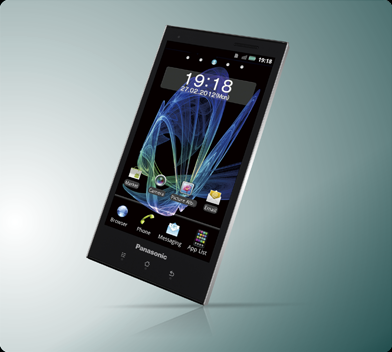 With less than a week to go before #mwc12 kicks off, both Fujitsu and Panasonic have played their hand and announced that they’re breaking out of the Japanese smartphone market to conquer Europe. It’s possible that both companies were emboldened by the record quarterly profits announced by Samsung last month, which were driven by its smartphones division, and Cisco’s recent projections that there will be 10bn handsets globally by 2016. Android-based smartphones are clearly the product category to be in at the moment. HTC’s rise a few years ago and its subsequent decline in the face of Samsung’s dominance shows that, as technological development continues apace and people adapt to new interfaces, no one has really cornered the market just yet. It’s worth keeping an eye on the margins though. Apple makes a 37.4% operating profit on its iPhone. In comparison, Samsung makes just 11% on its handsets. As volumes grow, it’s reasonable to expect component prices to fall. There is a danger that the companies that only make handsets will rapidly fall down the value chain and see their profits squeezed. The situation may not be too dissimilar to that currently being witnessed in the market for TVs, where manufacturers are operating on slim margins and many are losing money. Still, that’s no reason not to make money while it’s there and, unlike 3D TVs, smartphone technology looks to be something consumers can’t get enough of at the moment.